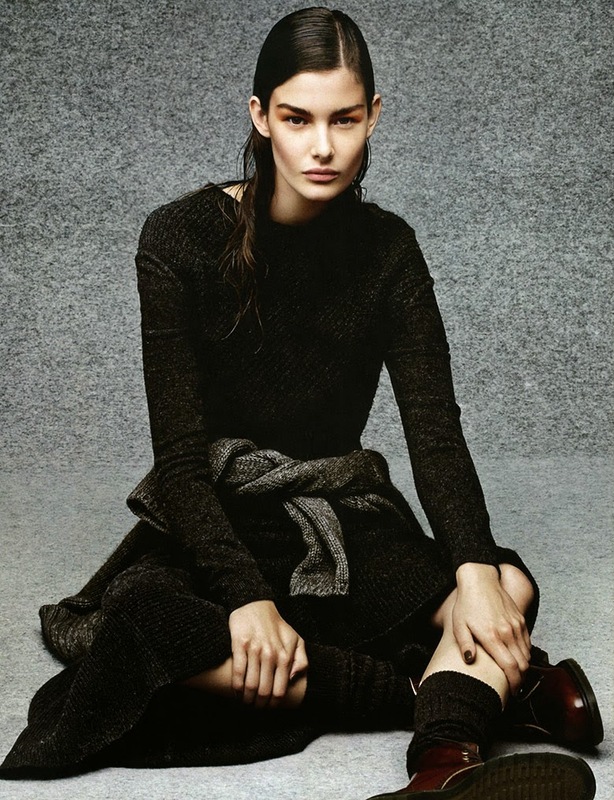 Ophelie Guillermand is photographed by Jason Kibbler for the latest editorial in the Vogue Russia September issue. Styled by Olga Dunina, the editorial features a curated selection of knits from the fall/winter collections — which can easily be pegged as the bane of our sartorial existence. Believe it or not, the unwanted decline in temperature will be here before we know it along with shorter days and longer nights. Luckily, we all have the oversize knits and mannish trousers paired with trainers and an overcoat to look forward too. 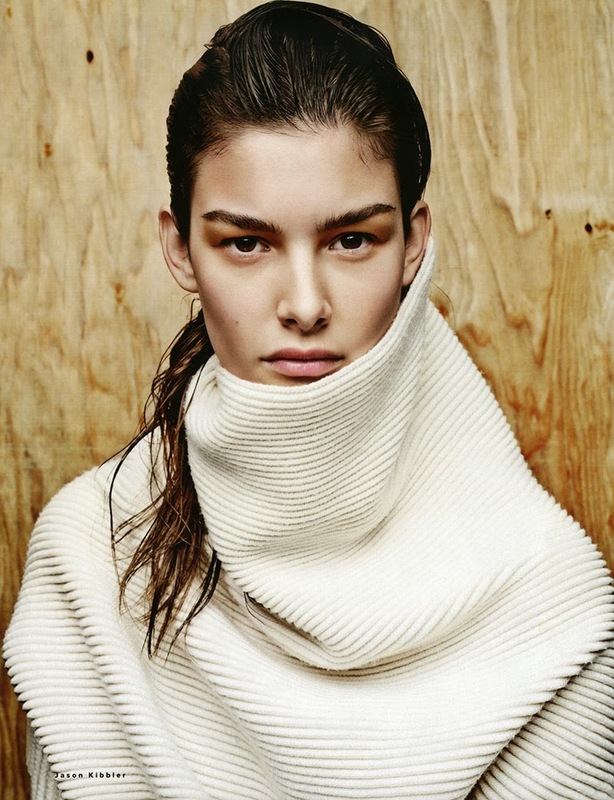 It’s obvious that knitted layering will be the key to your sartorial street style success this upcoming season, along with a sleek post shower drenched ponytail and little to no make-up. To be quite honest the Chicest Degree is overjoyed for the charcoal grey, burgundy, and brown color schemes along with the warm apple cider and cinnamon scones that comes along with it.